These advanced, silicone-hydrogel monthly contact lenses are equipped with SmartShield technology, which prevents the formation of deposits. 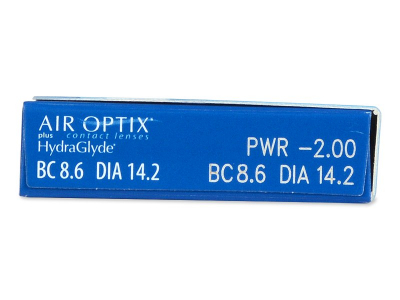 Air Optix plus HydraGlyde lenses ensure 5× higher oxygen permeability and greater comfort than comparable lenses. This package contains 3 lenses. 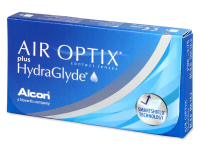 Air Optix plus HydraGlyde are innovative monthly contact lenses by Alcon and are a newly improved version of Air Optix Aqua. They are intended to correct spherical eye defects and are suitable for continuous wear, thanks to their improved oxygen permeability. 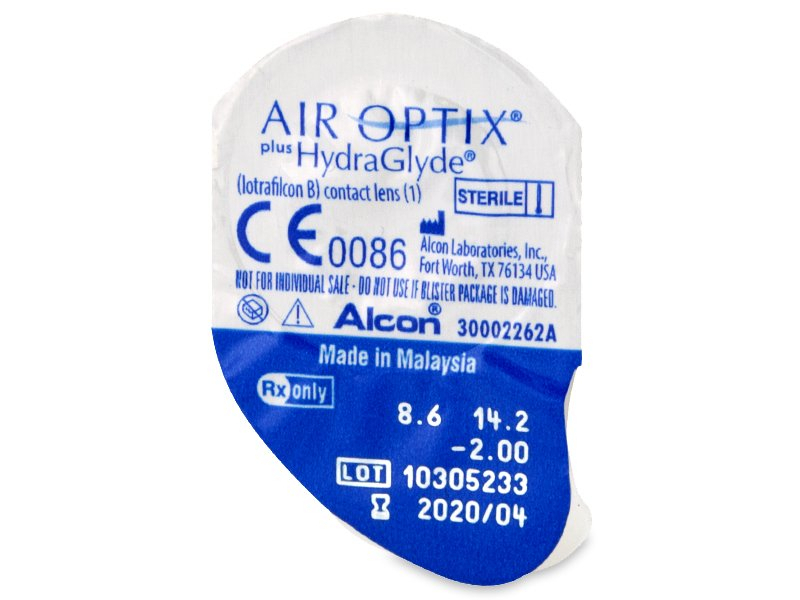 These lenses are made from a silicone-hydrogel material and feature a light blue tint for easier handling. 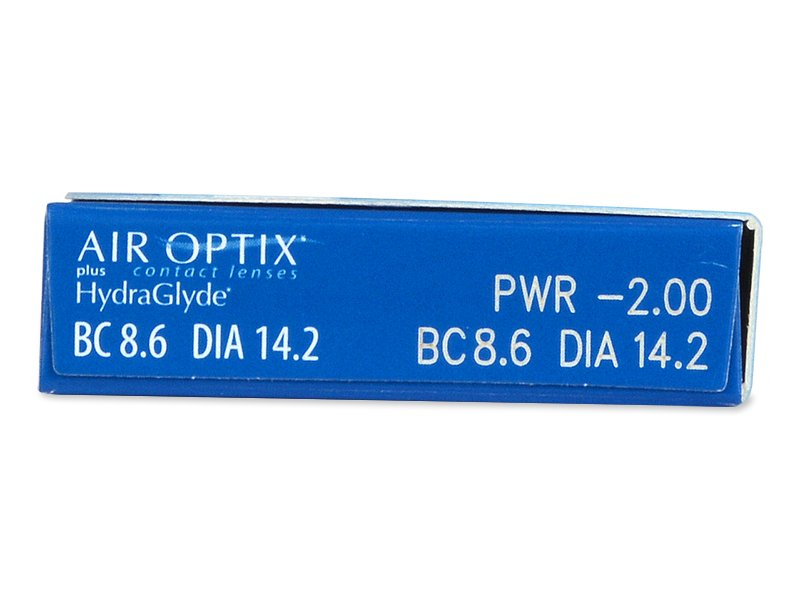 Air Optix plus HydraGlyde are sold in a package of 3 lenses. 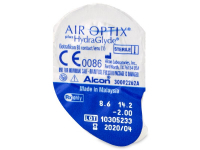 We also offer a larger package of six Air Optix plus Hydraglyde contact lenses at a bargain price. Alcon’s patented Moisture Matrix technology helps the lenses attract and retain moisture. This added moisture creates a protective layer that keeps the lenses hydrated throughout the day, and for the duration of monthly wear. 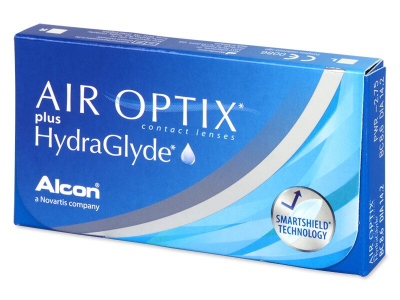 Additionally, Air Optix plus HydraGlyde lenses feature Alcon’s SmartShield technology, which also helps maintain optimal moisture. SmartShield technology helps reduce lipid and other deposits on the lenses, keeping them clean and comfortable throughout the wearing period. 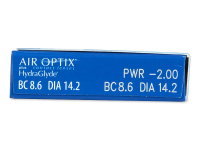 Air Optix plus HydraGlyde may be worn without removing for up to 6 nights. It’s important to follow your optician’s advice regarding this type of wear, as it is not suitable for everyone. Are Air Optix Plus powers available in +7.5? Having trouble finding a new brand that will accommodate this high prescrip. Thx.